The Virginia Conference lists 1,060 clergy under appointment full and part time. Together, we serve the 1,205 churches throughout the state. On Wednesday, June 28, around 200 clergy and their families will load all their personal belongings into a moving van and travel to their next pastoral appointment. Some will travel to large, multi-staff church communities, others to rural congregations; all go in hopes of joining Christ in faithful ministry. Across the Conference, those clergy who are retiring will try to adjust to being retired and will feel a bit strange when Sunday rolls around and they find out what life is like in the pews … again. This year, nearly two out of every 10 churches of the Virginia Conference will receive a different pastor. On Sunday, July 2, twelve new pastors to the Arlington District will arrive in the pulpits of their churches prepared to work at making disciples for Jesus Christ. Those churches will swell in attendance as active and inactive members turn out to check out the new pastor or associate pastor. The Arlington District will receive 12 new pastors, and bid farewell to 12 pastors who served our District in love and fellowship. There are two retirements on our District. A new satellite church begins on July 1 called Floris-Online. A new church start begins July 1 called Arlington New Faith Community. The District will close Impact Church, effective July 1. And, five candidates from the Arlington District Committee on Ordained Ministry will receive their first appointments. On another joyous note: we welcome the reappointment of the Reverend Keith Lee as our associate pastor who is the spiritual leader for our youth, the Education Committee and Young Couples. We are also blessed by the reappointment of Reverend Eileen Gilmer as a Local Pastor appointed to serve Trinity in Outreach Ministry. Eileen is pursuing her M.Div. at Wesley Theological Seminary in Washington, DC. Join with me, Catherine, Eileen, Harriet, Keith, Jerry, Jose, our lay leader: Jose Rivera, and all the Trinity family as together we make disciple for Jesus Christ. June 3 By the Sea Concert presented by the Music Ministry of Trinity Church 7 p.m. in the Sanctuary: Featuring a variety of vocal and instrumental selections in solo and ensemble format with a sea theme. June 5 Crafts for a Cause Meet 7 – 8:30 p.m. All adults are welcome, no craft skills required. For more info, contact mollysprouse@gmail.com. June 6 Book Chat: Pnin by Vladimir Nabakov If you’d like to try out Trinity’s book club before it breaks for the summer, please join us at McLean Family Restaurant on Tuesday, June 6, at 6:30 p.m. to discuss Pnin, by Vladimir Nabokov, the story of a haplessly disoriented Russian émigré employed on an American college campus in the 1950s. We’ll also exchange book ideas. If you plan to attend–or want to be added to our mailing list–please contact Kathy Maher at Kathyngs@gmail.com. June 10 Kids’ Movie Night 6—9 p.m. for ages 3 & up. Members of Honduras mission team will supervise the children while parents go out. Free- will offering accepted to support the mission team. June 11 Martha’s Table Sandwich Making We make 900 meat and cheese sandwiches & trail mix bags for the hungry served by Martha’s Table in Washington, D.C.
June 11 Ice Cream Social & Bike Parade 3 – 5 p.m. Bring your bike or scooter for a parade around the parking lot and ice cream on the playground. June 11 Youth Group Graduation Banquet 5 p.m. A chance for the youth group to celebrate the high school class of 2017! 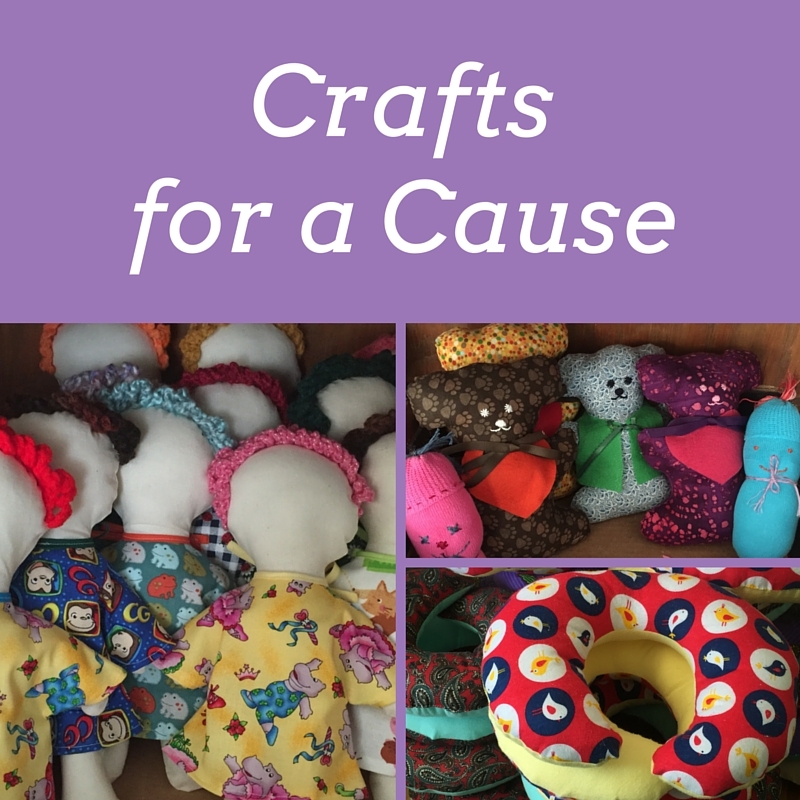 June 19 Crafts for a Cause Meet 7 – 8:30 p.m. All adults are welcome, no craft skills required. For more info, contact mollysprouse@gmail.com. June 30 Registration deadline for Vacation Bible School: Hero Central Aug. 7—11; For ages 3 – rising 4th grade. One of the most awesome gifts I have been given in my role at Trinity Church is to pray with you. I pray for you every day. I also get to pray with you frequently; sometimes I pray during the offering, other times in the pastoral prayer, still other times it’s in the benediction at the end of the service. You might not have noticed, but one of my frequent prayers is that God will make us bold, brave and courageous in our faith walk. I pray this for myself, for Keith and Jim; and I pray this for you, too. Why do I do this? It’s because we human beings frequently overthink things. This includes our call to be Jesus to the world. What will people think if I speak up against injustice? Will I be rejected if I question the status quo? Will people think I’m weird or a zealot if I live out God’s love? This is where being bold and courageous comes into play. We have every reason to be brave because that’s how God calls us to live. But how can we be bold without the confidence of God’s powerful, ever-present Spirit? Sometimes we need a little help. I wear a reminder of God’s wish for us to be emboldened. 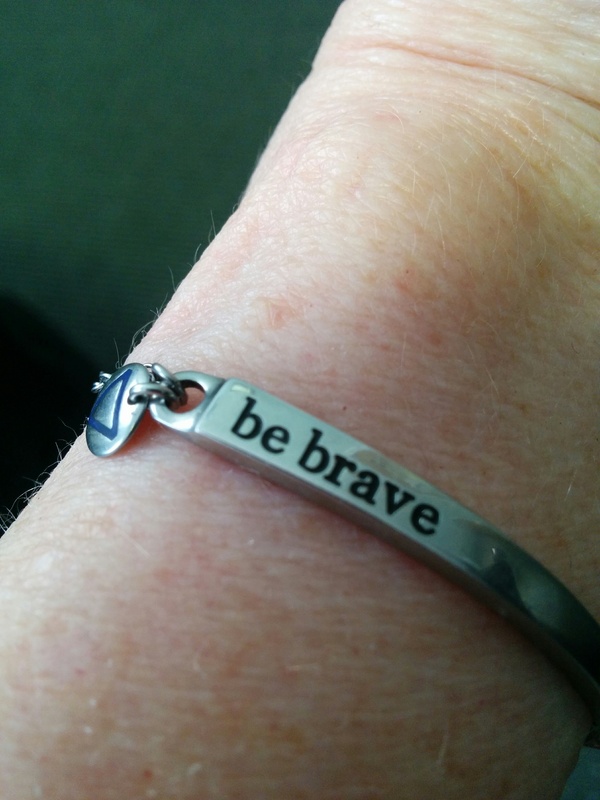 It is a silver bracelet that simply says: be brave. I look at it frequently. Though I doubt anyone ever considered John Wayne to be a great theologian, he has been credited with a quote that is appropriate in this instance. “Courage is being scared to death … and saddling up anyway.” That’s what God calls us to do. No matter what we’re facing, God tells us to be brave and confident as the beloved children of a grace-filled creator … then to saddle up anyway. The semester ends on June 11 with graduation Sunday celebrating those who will move on to next phase in their discipleship path. That means summer session will begin on June 18. Last summer Lauren Michelle and I taught the whole session and we had a great time. However, for this year, I would like to get more volunteers involved because Trinity has many talented parents and members who have tremendous teaching skills. Therefore, I have sent out requests to former teachers and substitutes to teach one lesson for the summer. I asked “What is the one lesson on Jesus you would like to teach using your talent in art, craft, music, dance, storytelling, etc. ?” I am asking the volunteers to create, one memorable lesson for our children. Let’s look forward to a great summer of children’s Sunday School! The Confirmation Class of 2017 (listed on calendar for June 4) will be presented on June 4 with a banquet following the service. I had a tremendous time with these wonderful confirmands. I’m truly sad that this process has to end. They are inquisitive, energetic, creative, beautiful souls who not only were actively engaged in class but also encouraged me in my ministry journey with hope and energy. The future looks bright for the Kingdom of God at Trinity. Please keep them in your prayers as they continue their journey in Christ for the transformation of the world. Also I would like to thank all their parents for their wonderful contributions to the process. Moreover, my heartfelt gratitude to Loren Monroe for being the designated second adult by attending all classes. Thank you! The good news for me is that this process will begin again in September with a new group of confirmands. If you have a rising seventh grader, please keep an eye out for announcements for confirmation 2018! We are hosting a graduation banquet on June 11 at 5 p.m. for graduating high school seniors: a potluck with games, prizes, photo booth, and t-shirt signing to celebrate their contributions to youth group and life at Trinity. Since coming to Virginia in 2006, this will be my tenth graduation ceremony, and you would think that I would be used to it. But it moves me with so much emotion because there’s something greater than moving on from one education institution to another. I’m so honored to be part of it. Please come and celebrate with us that day. During the month of June, we are collecting items for Langley Residential Support Services, a non-profit that serves adults with intellectual disabilities in Fairfax County. Trinity is offering support in the way of movies on DVDs. They would especially like happy, funny, or inspirational movies such as musicals, sports, etc. Wii games would also be appreciated. DVDs or games should be new or gently used. Please place the items in the bins outside the Narthex and in the Fellowship Building. Grocery and pharmacy gift cards are also welcome and can be dropped off in the church office. The Church & Society Committee will meet on June 18 in Room 402 following the 10:30 worship service and fellowship (the meeting will be brief in honor of Father’s Day celebrations). New members are always welcome. Please contact Alexandra Kiefer with any questions. Busy hands and big hearts – that’s what fuels Crafts for a Cause in our efforts to bring comfort to hospitals and shelters. Last month, we delivered 20 fleece throws to Project Linus, which distributes all sorts of blankets for children and teens in local hospitals, Ronald McDonald Houses and homeless shelters. This is in addition to the comfort pillows, dolls, blankets, hats and baby caps we make each month for Fair Oaks Hospital, along with the dresses we make and send to needy girls in Uganda. You can join in this fun ministry at one of our work sessions, every other Monday night from 7 to 8:30 in Room 124. The dates coming up will be: June 5, June 19, July 3, July 17 and July 31. What an amazing year we have had at Children and Youth Choirs. We finished our singing season with a big bang – our Rock Solid Musical and the Youth Choir’s praise song, Open the Eyes of My Heart Lord. Don’t worry there are still opportunities for you to participate in music at church! The Youth Choir can join the summer choir – learning the song at 10 a.m. before the 10:30 service. We meet in the choir room. We encourage you to bring your Mom and/or Dad to sing, too! The younger children can look forward to participating in VBS – Hero Central – where we will have music, science, art, and story time, August 7-11! Too old to be a camper? Sign up to be a helper! The more enthusiastic our leaders, the more fun everyone has! Trinity’s Music Ministry will present its annual concert on Saturday, June 3 at 7 p.m. in the Sanctuary. Soloists Philip Keirstead, Michelle Kelly, Catherine Wethington, Nadine Wethington, and Joey Wilson will be joined by the Chancel Choir and Trinity Ringers, all under the direction of Music Director Jerry Rich. The theme is “By the Sea;” in addition to an audience sing-along of that song, selections will include the contemporary hymn Come to the Water, Charles Trenet’s Beyond the Sea, John Ireland’s Sea Fever, Sailor of My Dreams from Dames at Sea, Never Mind the Why or Wherefore from Gilbert & Sullivan’s HMS Pinafore, the British beach classic I Do Like to Be Beside the Seaside, Don Besig’s ‘Cross the Wide Missouri, Under the Sea from The Little Mermaid, and selections from Rodgers’ and Hammerstein’s South Pacific. Admission is free.